This is a real summery pie – I’ve based it on Lemon Pies that we tend to see in the supermarkets in France when we go over the summer. They tend to be a lot more custardy though, and I definitely wanted more spongey (and well, frangipan-ey). Pretty safe to say that Mr C loved this pie – I’ve never seen a grown man eat so much pie over a couple of days. It had the thumbs up from my Mum too and was a bake that I would be happy to take to a party/BBQ over the summer. I’m so critical of my own bakes, that there’s not often I say that! I used homemade Lemon Curd (I’ll post the recipe for that over the next couple of days) but good quality shop bought will do as well. Neither the taste of almonds nor lemon were predominant with them being used in all parts of the pie – I loved the texture of the biscuity crust with the chopped almonds too. It may not be the prettiest crust but its definitely one of the tastiest. Using a blender (I use my Magimix) add the first 150G flour, 100g caster sugar, salt, chopped almonds and 140g Butter. Pulse in short bursts until it comes together as a ball of dough. It feels like magic! I've tried and tried to roll out this pastry and line the tin in a neat fashion but it NEVER happens. I start rolling out until I get to about 1cm thickness then have to transfer to the tin and press and stretch with my knuckles until I cover the whole tin and go up the sides. I've long since given up trying to make the edges neat. Lets call it rustic! Cover with baking parchment and blind bake using baking beans if you have them (or uncooked lentils/rice if you don't. I have a tub of red lentils that I use over and over for blind baking - we know never to eat them) Bake for 25 minutes - remove the lentils and paper, then continue to bake for another 5-10 minutes. Allow the pastry to cool then spread the lemon curd over it. Melt the butter and allow to cool for 3-4 minutes until still liquid but not warn enough to curdle the eggs when you add it. In a mixer, mix together the last sugar, lemon zest & Juice. Add the eggs one at a time then add the butter. 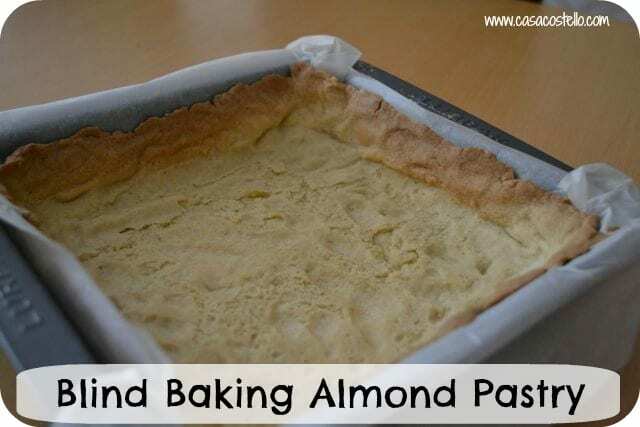 Carry on beating on a slow speed and add the ground almonds and almond extract. 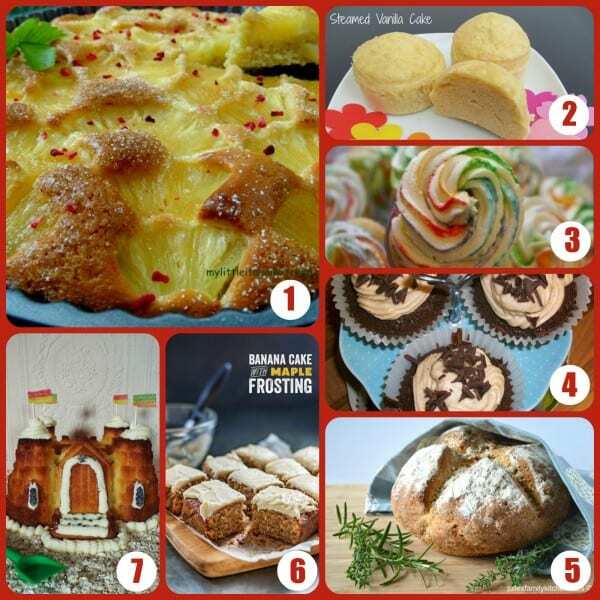 Some really creative Bakes of the Week were entered last week – Thanks to everyone for spreading the word and entering. Lovely to see that people are starting to comment on other people’s posts too. What I really wanted when I started #Bakeoftheweek is the feeling of a baking community. It doesn’t have to be lonely creating away in your kitchen! My particular highlight from last week was this beautiful Honeycomb Cheesecake from Hayley at Hay in a Day. I MUST make this this week – I can’t wait for my girls to see how Honeycomb is made. Its one of those science/cooking procedures that stays with you forever! 6. 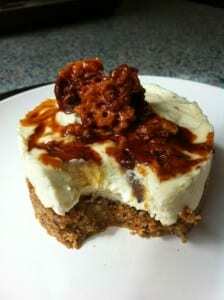 Banana Cake with Maple Frosting – I’m so intrigued with Maple flavour combinations so have to try this frosting! 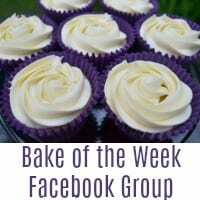 Thanks to Lucy at SuperGoldenBakes – Another warm welcome to new member of our Bake of the Week team. 7. Another wonderful combination in Lemon and Lavender Cake from Kirsty at Hijacked By Twins. The link is now open for your next week’s entries. 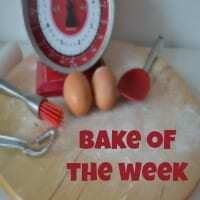 Please add the badge in your post to share the Bake of the Week love. 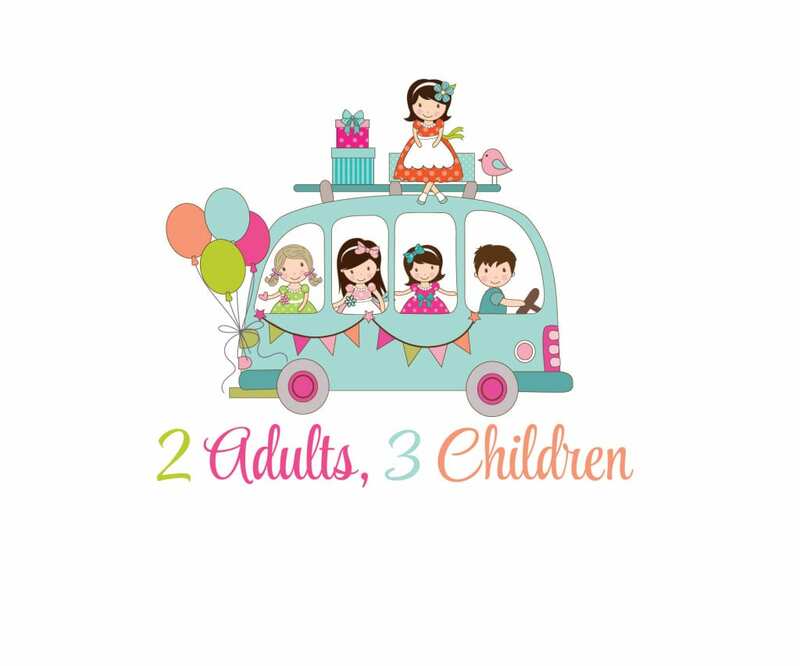 If you would like to make sure you don’t miss future baking (or other posts) feel free to add yourself to the email subscription list here Subscribe to CasaCostello.com by Email – You won’t be inundated! You are very welcome, Otilia. 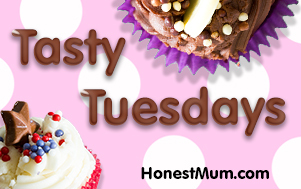 We’d love to have you part of the Bake of the Week gang! Wow thank you for picking my honeycomb cheesecake! I’m actually just off to rustle one up now ready for tomorrow night! 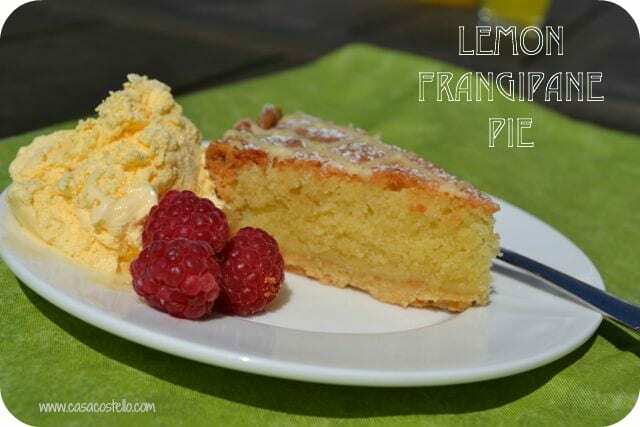 The lemon frangipane pie sounds delightful! My other half is now demanding I make that next! So thank you for the lovely recipe! Your other half has good taste! And you are welcome – I loved the sound of your honeycomb! Hi Alison – You were super keen to do the recipe and very brave to make pastry in this weather. I would make sure the butter was as cold as possible and only use baking parchment – I always struggle with things sticking to greaseproof paper. As I said at the top of the recipe, perhaps start with slightly less butter and add more if it needs it? This is a recipe I’ve made tons of times and its a go-to recipe. Hope the frangipane worked out once cooked? I like the sound of your lemon frangipane pie, it looks incredibly tasty. Thanks for the lovely mention in your round up. I’m going to link up again in a minute. I was forgetting to leave a comment! 🙂 I love #Bakeoftheweek! wish I could stand almonds! Your tart sounds so scrumptious – what a brilliant idea to use lemon curd. I’ve just made a batch, so might just have to try this recipe. It’s going on my ever growing list (to match my ever growing hips) of things I really must bookmark and bake! Dee-vine! My husband would eat his own body weight in this. Oh my goodness, it looks delicious! I have to admit to REALLY wanting those raspberries though! They are my thing right now! Oh, this does sound luscious! 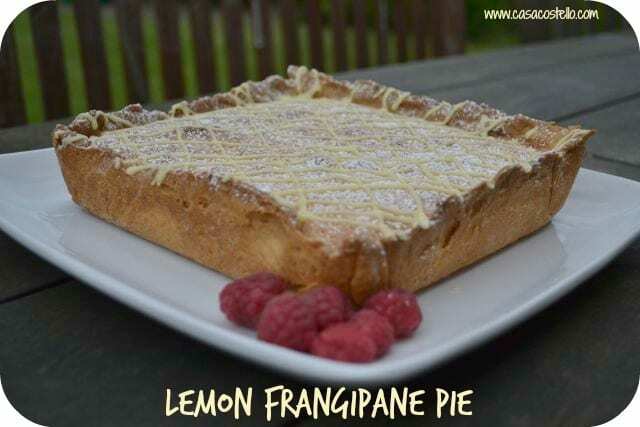 I love both lemon tarts and franigpane tarts–what could be better than combining them into one? 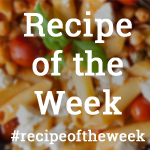 Delighted to have be joining #Bakeoftheweek for the first time! 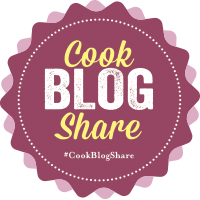 I do quite a few monthly blogging challenges, but having one that has to be done in a week is good incentive for me to take the photos and recipe and actually get them up on the blog. Thank you, Helen!